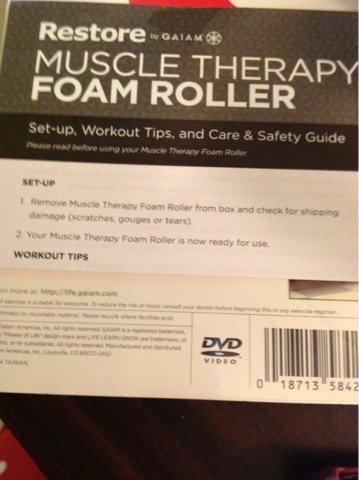 After being on my 'to do' list for years, I finally purchased myself a foam roller. 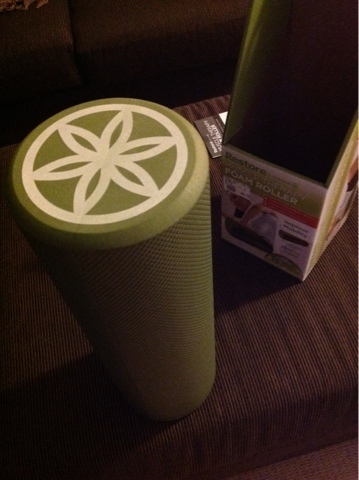 A foam roller is a great piece of gear to include in a get fit kit if you're anything like me - prone to injury and muscle tightness, particularly through the ITB (I can't remember what that stands for, but if you google it, I'm sure you can find it). They're also great for stretching out the Thoracic area of the back. Position the cylinder against the spine and push your shoulders to the floor. Feels wonderful. The point of this short and sweet post is to show you the instructions that the manufacturer thoughtfully included in the box. I may have been confounded without them. There's also an instructional DVD, but I don't think I'm quite ready for anything that complex. So easy, even a butternut squash disguised as a pumpkin on Halloween could follow it.